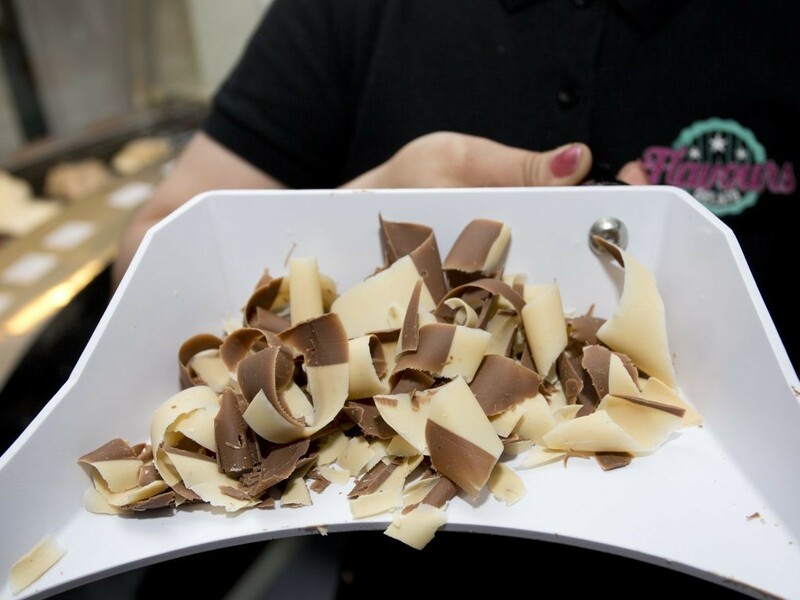 A takeaway has revealed England’s first ever kebab – made out of CHOCOLATE. Flavours is thought to be the first place in the country where people can buy a sweet version of the much-loved late night fast food – made out of a spinning ‘doner’ wheel. The kebab works like the doner meat version by rotating on a metal skewer, but instead of blasting heat, the unit refrigerates the spinning ice cream. The milk and white chocolate ice cream is then sliced to create chocolate waffles kebabs, pancakes, wraps and crepes with marshmallow and Thousand Island dressing rather than chilli sauce and garlic. Nadaraj Shanker, director and owner of Flavours, in Bermondsey, south London, said: “I wanted to do something different, there’s a lot of ice cream and gelato places I wanted to try and stand out. The store opened last Friday and joins Nadaraj’s third eatery in the same row, alongside his Piri Piri store and a Japanese restaurant, all next door to each other. Nadaraj added: “The first weeks has been great, very busy, I didn’t expect it would go so well so soon. “I’m not sure if there are any others like this in the country, but there certainly aren’t any in south east London.